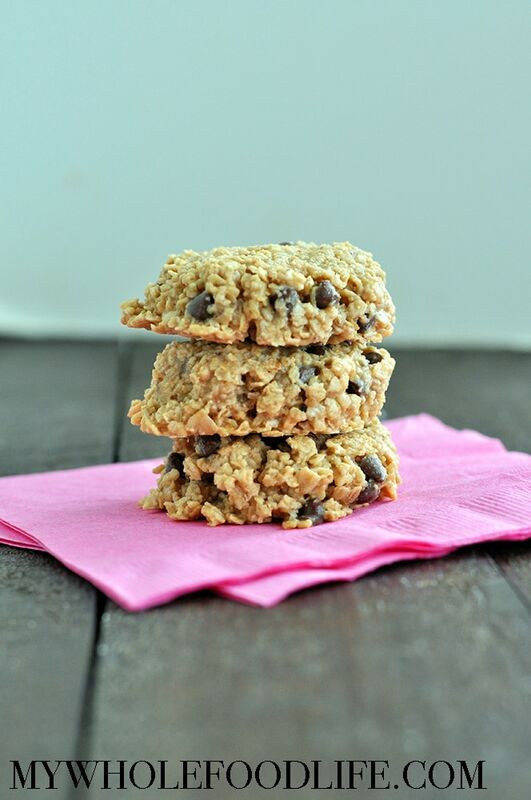 This recipe kind of reminds me of my flourless peanut butter cookies. If you have a peanut butter allergy, you can always use sunflower butter. I can’t wait to try them with cashew butter since it’s my all time fave nut butter. Yum! 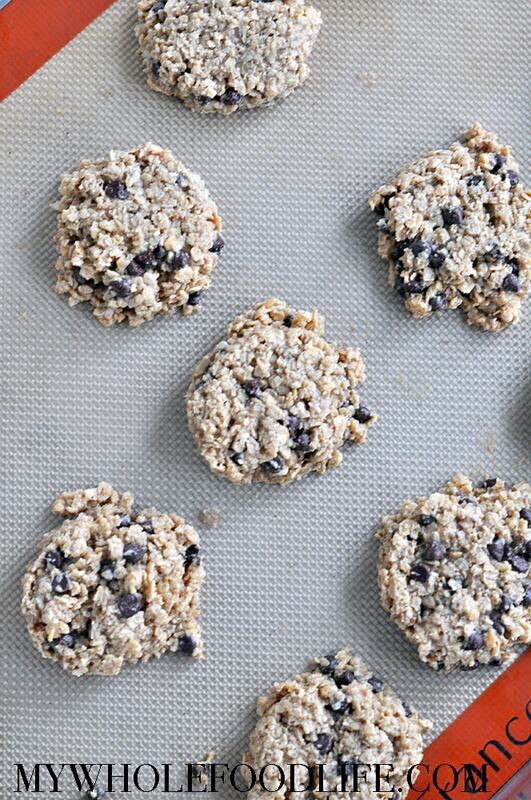 A handful of simple ingredients to make these healthy cookies! In a small saucepan, on medium low heat add the peanut butter, maple syrup and vanilla extract. Mix until combined. In a large bowl, add the oats and sea salt. Then add the peanut butter mixture to the bowl. Mix well. Add a little almond milk if the mixture looks a little dry. Lastly, add the chocolate chips and stir well. Using a cookie scoop, drop cookies onto a lined baking sheet. Let cool before storing in an air tight container in the fridge. These cookies should last a couple weeks in the fridge and up to 6 months in the freezer. Enjoy! Do you know the calories, proteins and carbs on this recipe? I'm sorry, I don't. You can upload the recipe into My Fitness Pal for a rough estimate, though. I wonder if I can substitute almond meal? Hmmm. Looks yummy. Does it matter if the oats are quick or not? Somethings not right. Mine came out of the oven with the chocolate melted and running about. Wish I could post a picture of them here. I'm sorry that happened. Did you follow the recipe exact?